Potbellies: Reindeer will be available for purchase October 15th. CLICK HERE for further product details. Potbellies: Santa will be available for purchase October 15th. CLICK HERE for further product details. Potbellies: Penguin will be available for purchase October 15th. CLICK HERE for further product details. Potbellies Sentiments will be available for purchase October 15th. CLICK HERE for further product details. Twinkling Trees will be available for purchase October 15th. CLICK HERE for further product details. You have until 7am ET, October 15th to leave your comment and be eligible to win. Only one comment per person please. One randomly selected winner will be posted on the October Release Winners Page by 10PM ET on October 15th. The potbellies are so cute! The products showcased today are amazing and the projects are stunning!!!! The potbellies are adorable. I love how you can use them to put treats in or as gift tags. I have been waiting for the potbellies since I have seen them in the sneak peeks! There great! I hope I can buy them before they are sold out! 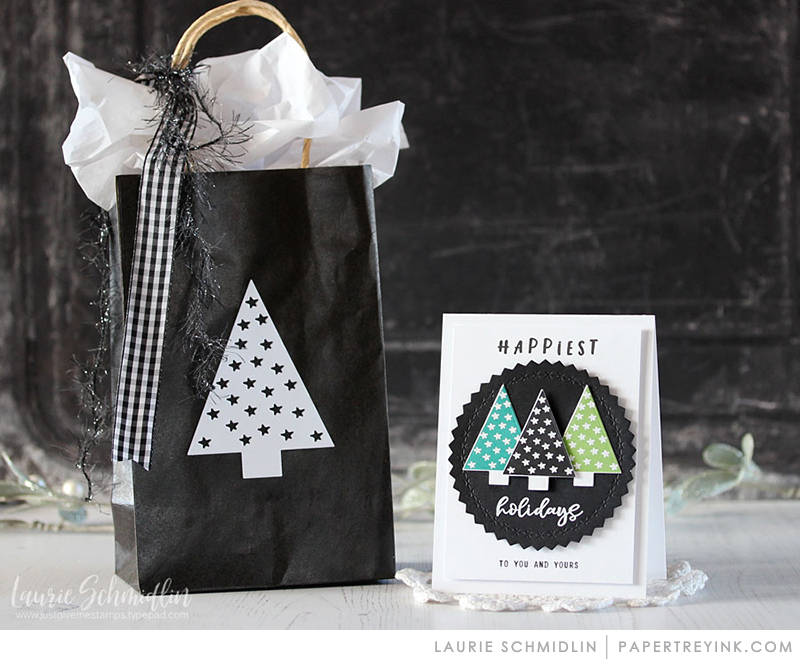 Love the possibilities of the potbellies…gift cards and treats! I love those potbellies they are adorable. I like that you can use them in different ways. Oh my!!! All the Potbellies series are definitely my faves from this release!!! Love so much all the amazing possibilities to make stunning projects!!! The Potbellies are adorable! The Team has made wonderful samples to show the versatility of these sets..
All those potbellies are so cute! Cheers. The potbellies are cute, but my fave from today are the wonderful trees and all the fabulous projects using them by the DT! Those potbellies are sooooo ADORABLE!!!! I am dying!!!!! The Potbellies!! Gah! The are a must! And I already have suggestions for additional characters 🙂 I also love Rebecca’s Twinkling Trees. Such great sets today. The new trees are fun. Oh, those potbellies are so cute and I love the Twinkling Trees too! I am so ready to sit down and make some holiday projects after seeing this release!! Cute potbellies but what the designers did with the trees blew me away! So many uses for potbelly especially but my favorites are Heather’s and Laurie’s twinkling trees. Sooooo cute! This is going to be a hard release to choose from! Can’t wait to get my hands on that penguin! I now like pink polka-dotted penguins! Who knew?! How great are those potbellies?! So cute and fun! Always wonderful products you put out each month – so much to choose from. The Potbellies are really cute, as well as the uses for the Twinkling trees. Thank you again! It is a fun release. Such cute ideas!! The Potbellies are adorable. Those little potbellies are fabulous! Love how the design team shared so many different ideas on how to fill them. Super cute way to give small gifts. I can’t choose a favorite. Way too adorable. The trees are just too cute! Great inspiration as always. The potbellies are so creative!!! Every single one of the samples is adorable and SO MANY ways to use them. Thank-you ladies for sharing your creativity with all of us – amazing talents! 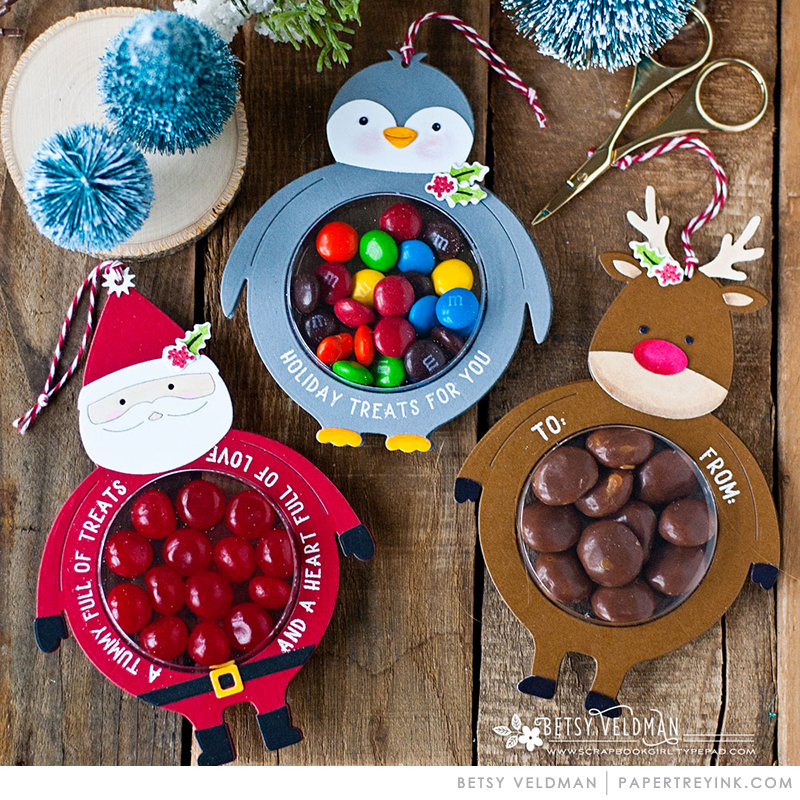 Adorable holiday treats and candy-striped trees! The potbellies are just too cute! The potbellies are adorable. I loved how you incorporated the packaging of items into the cards! Wonderful idea. The potbellies are so cute!! Love the variety of items in the ‘bellies’ shown… especially the gift card! Awesome inspiration from the DT!! Really cute packagong concept for gift giving. For somee reason I thought of the santa one with a cookie in his tummy. Cute treats and packaging today. Fun new ideas. Adorable ! And perfect for classroom favors and little gifts. It would be adorable to add money or a mini gift card in their little tummies. love the pot bellies. So so many uses. i want them all. These darling potbellies would be so much fun to create! So much cute today! Great release! Pot Bellies……… got to have them, so darn cute! Cutest way to give gifts. Darling little potbellies! Love the way you’ve allowed to see the gift/candy/money. as well. Such a great release! So clever and many ways to use potbellies. Really fun. Love the Potbellies, so cute! Thanks! 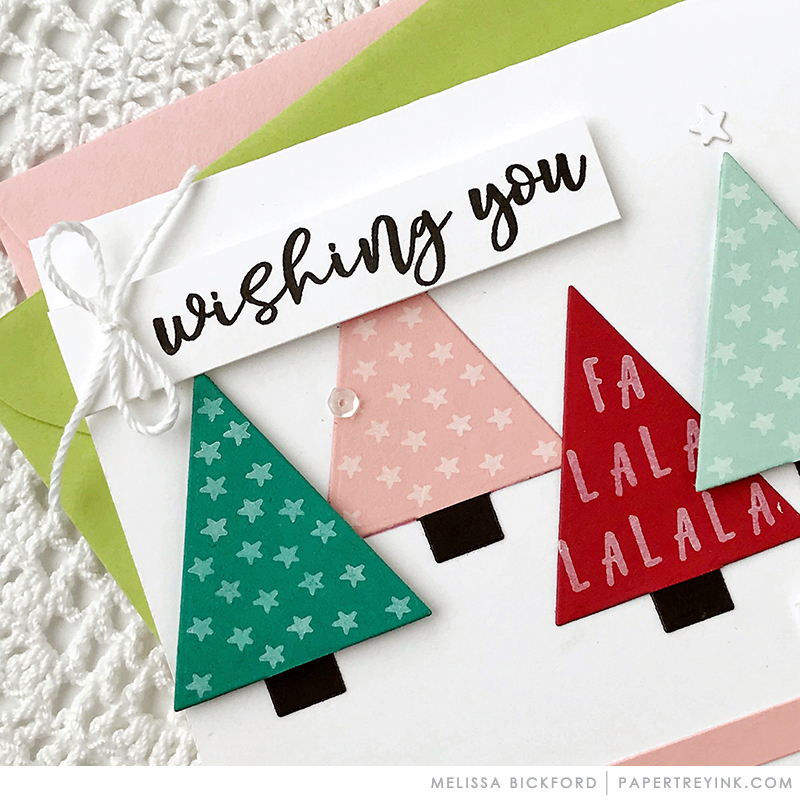 I love the font used on the Twinkling Trees sentiments! Highlights for me today? 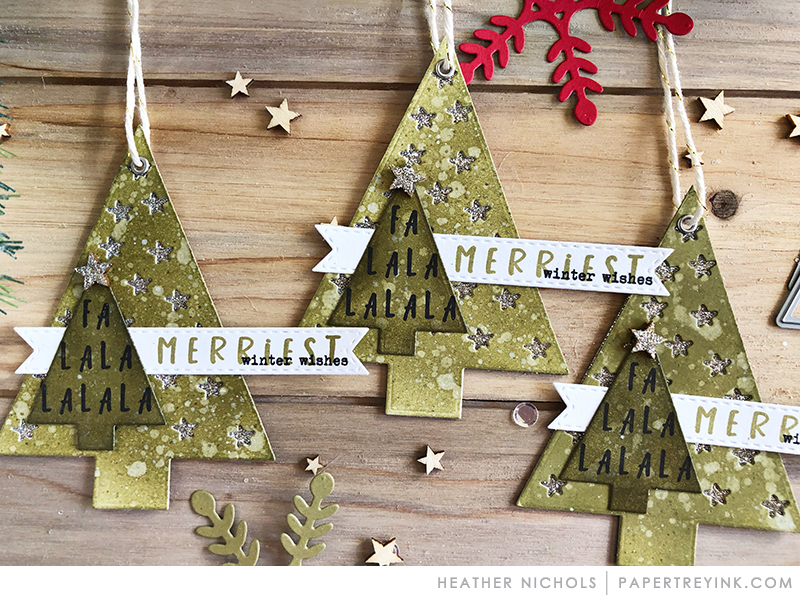 Heather’s tree tags. The mittens on Michelle’s reindeer. And the fish in the belly of Lizzie’s penguin! 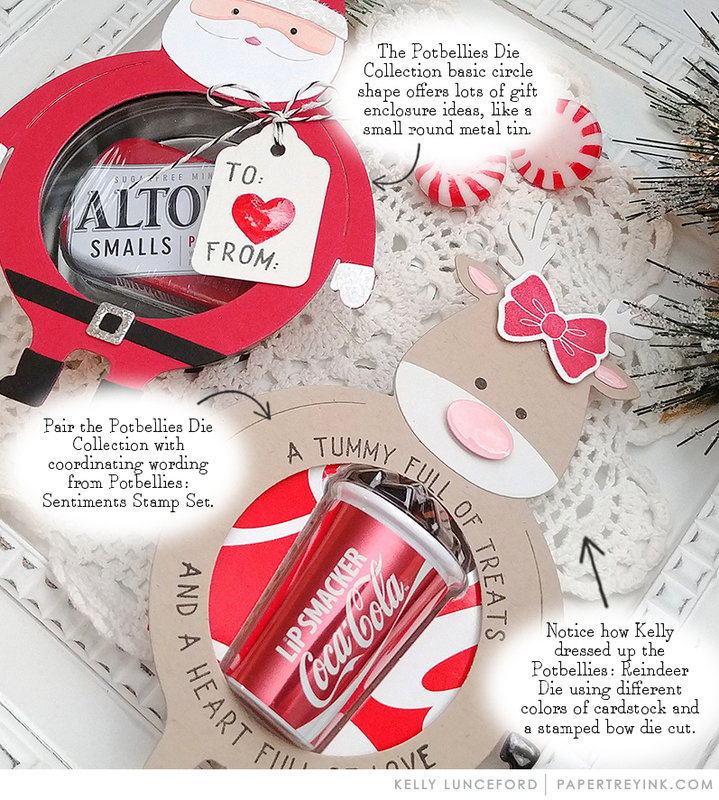 I didn’t think the potbellies were for me, but, without the bubbles, they do make really cute gift tags and gift card holders….. I can’t wait for those pot bellies!!! Precious. Perfect. Potbellies. I don’t know how PTI comes up with new fresh ideas each month, but keep doing it! Creative and adorable idea for packaging small treats and gifts. It’s a Christmas valentine! These potbellies are adorable! S o many possibilities! Love the potbellies! so cute! Oh my goodness, those Potbellies dies are too cute! So many great projects from the team! Those potbellies are so cute! Adorable! And pretty versatile once the brain gets going. A very fun ending to the October release PTI! Oh my! Gotta have those Potbellies, not just for the grandkids, but to make treats for the 4 classes of middle-schoolers I work with–and the teachers, of course. Christmas always get me! These are so modern, love the options. Oh, I really like that pudgy little penguin! I live the potbelly Santa — a must have for me!!! The potbellies are too-too cute! Love the potbellies for giving small gifts or treats. I think Santa potbelly is the cutest! I think Papertrey Ink has outdone themselves! 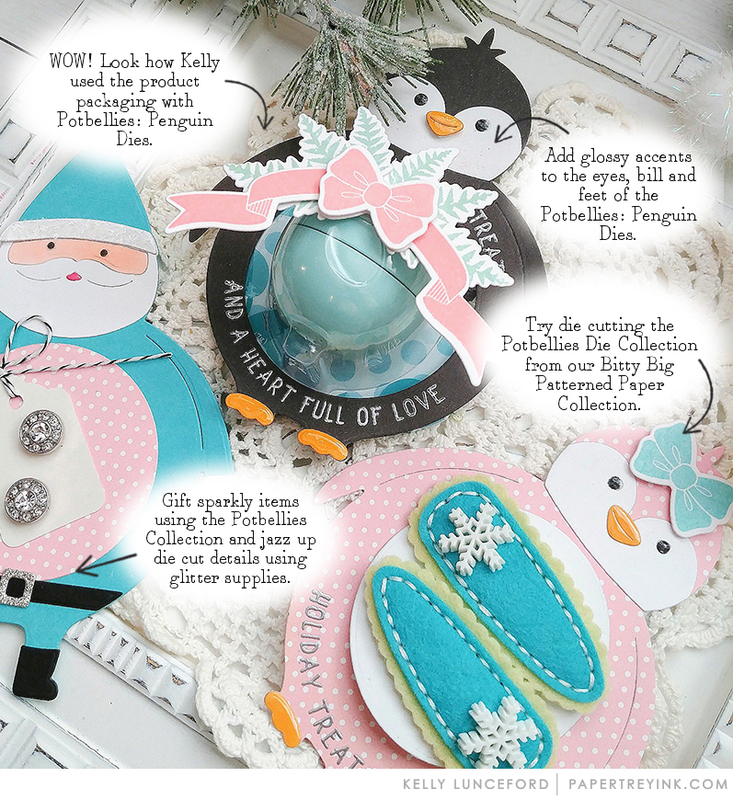 The potbellies are adorable and I like the gift card option or the bubbles to add goodies! 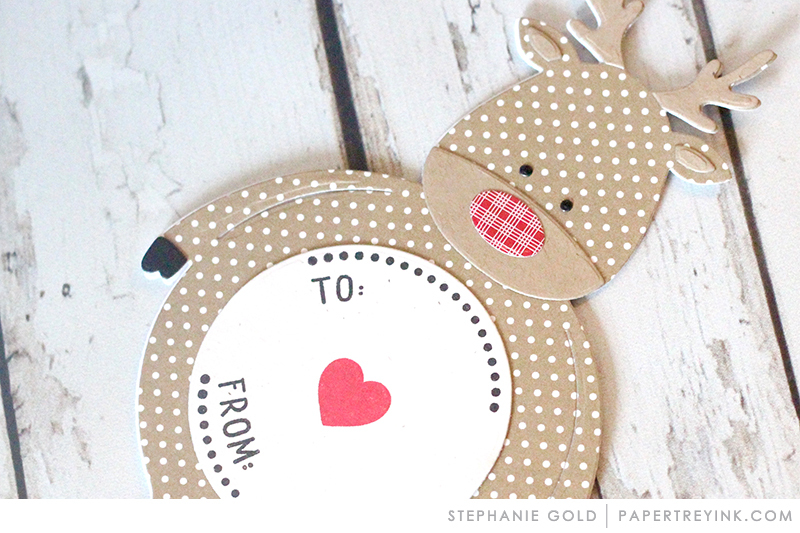 I’m picturing those sweet Potbellies hanging on my tree, filled with treats and/or gift cards … such cuteness! 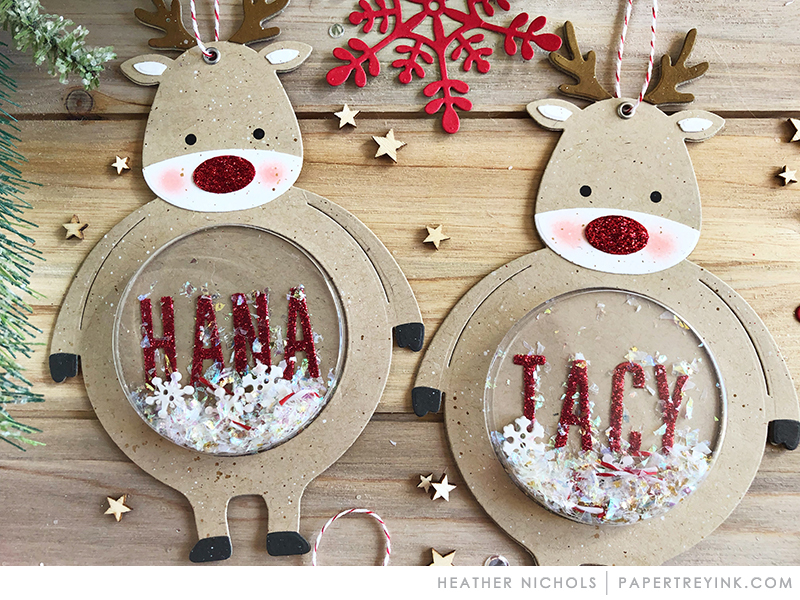 Oh, Heather Nichols, your reindeer shaker name tags have totally sold me on these potbellies! Now I cannot wait to make these for my kids and their cousins this year! Thank you!! Oh my stars! My list keeps getting longer and longer!!! Love the simplicity of the twinkling trees! Especially like what Melissa Bickford did with the set! The potbellied are the cutest and cleverest! Love everything today! Santa potbelly is my favorite! I really like the fresh and modern look of Twinkling Trees. The Potbellies are so darling. Loving the non-traditional colors in today’s projects. I would never have chosen black, but it works! Loving all the products as usual! Sweet! Love the Potbellies!! Just the cutest!! The twinkling trees are really cute, but the potbellies are just so adorable. Love them. Thanks for the inspiring design projects from the team. Beautiful ideas. The potbellies are such a cute concept! 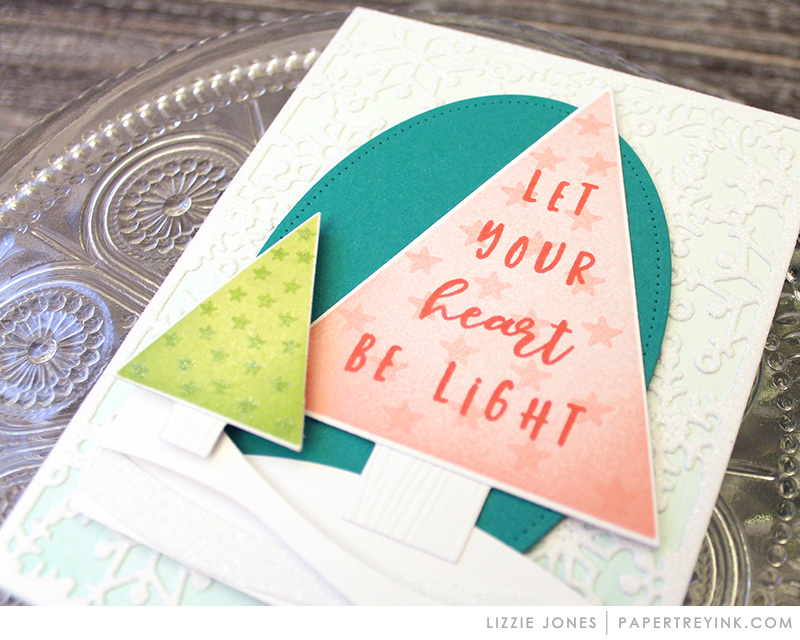 Really love all the mix and match sentiments in the twinkling tree set too! I am in love with these potbellies!! I have so many ideas for them. I’d use these for my coworkers. I also love the trees. I can’t wait to see cards and tags. This is an awesome release. What a fantastic release! The Potbellies are just too cute. What a cute idea with the Potbellies. Love the Pot Bellies characters and can see adapting them to other characters as well, Mrs Clays, a bear, a puppy. So very cute. Oh my goodness, how adorable and creative are those little potbellies! I am in love with the potbellies!! I am going to use them for my daughters class. The trees are pretty and look easy to work with this is definitely my type of crafting. The potbellies are the cutest thing I’ve seen, well since yesterday! The pot bellied characters are so cute. I think I need all of them. The potbellies are adorable! So many ideas here on how to use them shows how versatile they are. Beautiful! Which potbelly, which potbelly? I have multiple Christmas themes for my tree. I have a penguin theme, but I also have a Santa theme. The penguin is more universal….can be used for adults or people who don’t celebrate Christmas or people who celebrate Christmas but don’t “do” Santa Claus. But that big belly on Santa and those stubby legs. The penguin is cheaper but what’s $2 in the grand scheme of things. I know, I know get both, right? Sigh. Candies, small gifts, and shakers oh my! What sweet gift ideas and in such variety!! And the little tree set is fun to see in use. Those potbellies are absolutely the cutest thing ever. A must have for holiday gift giving. The Twinkling Trees set is adorable. I am in love with the potbellies and the twinkling trees are so lovely. Super cute and fun potbellies, love them all! 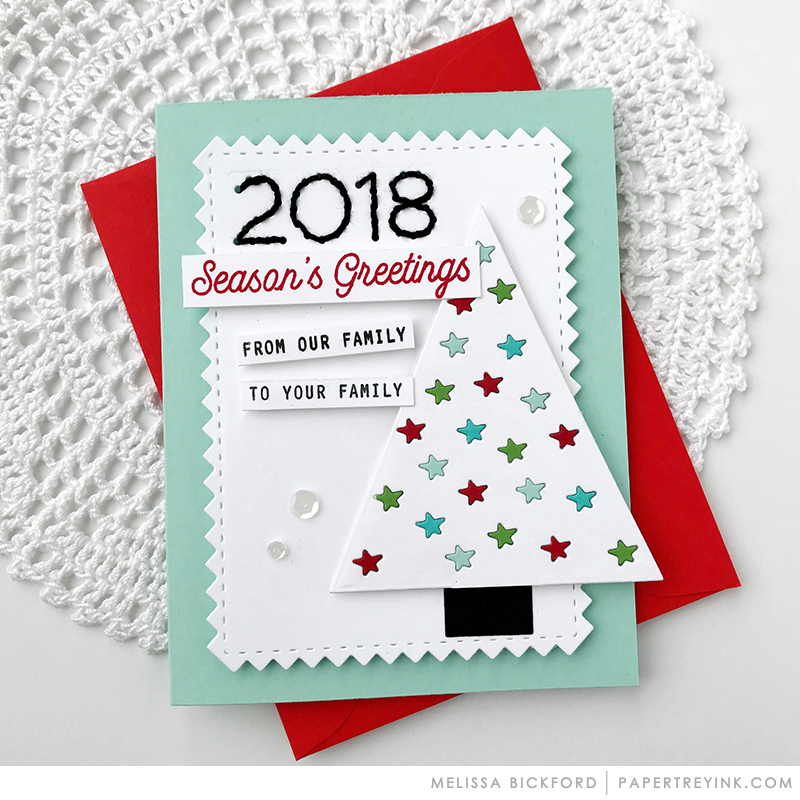 Twinkling Trees are lovely and so versatile, thanks for sharing lots of fun techniques to use with them. Boy, you guys have done a great job of getting me into the holiday crafting mood. It has been a difficult weekend working on Halloween/Fall cards with the beautiful projects the past few days. I love the Potbelly collection. It is absolutely adorable and so many ways to use it!! I may be looking into that set for sure. As usual, a great release. Those potbellies are adorable! I love the simplicity of the trees as well. Great release! Loved seeing all the different versions of the potbellies! So cute! Oh the potbellies! They are so cute! I love the versatility of these. 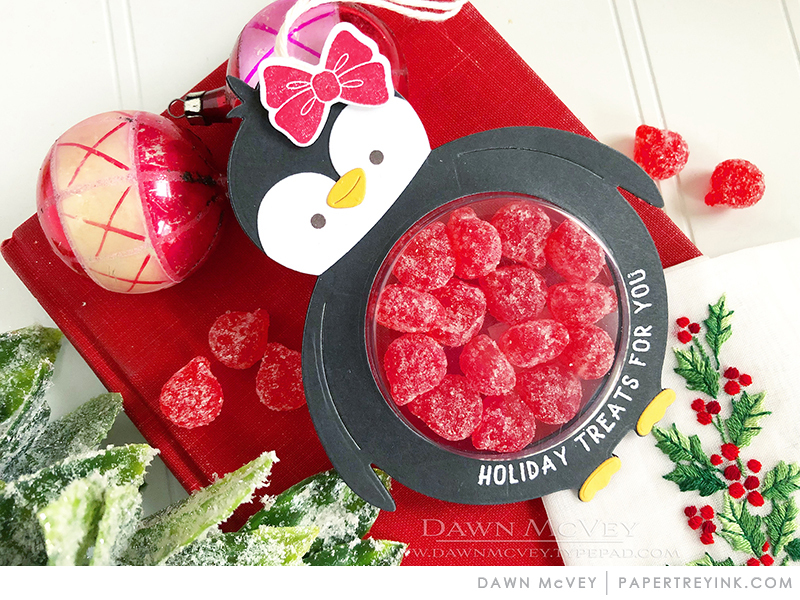 Make it a shaker, put in edible treats, don’t use the bubble at all and just make a tag or gift card holder. Genius! OMG… I L-O-V-E the potbellies …too stinking cute !!!! I love the delightful Potbellies! You could also stick a little cash inside them – either in the domes or where the gift cards are. Fun idea! Love, love, love the Potbellies! They’re perfect for tags and little gifts, and I can’t wait to get them! Absolutely HAVE to have the Potbellies!!!! What a super release all around this month. So much fun! I love Santa in the green plaid suit! Those pot bellies are adorable! Oh.my.word! Potbellies and Christmas Trees! Too much cuteness! Love, love, love the potbellies. They are so adorable and you can do so many different things with them. The potbellied are just adorable. Lots of fun things to do with these guys! Awesome release! Another great holiday release- thanks, PTI! The potbellies ate so adorable! I also love how the trees were layered and folded for a 3-d effect. super cute gifting ideas! betsy is so darn clever! Love the potbellies. Now to pick which ones to purchase to gift for the holidays. So hard to decide. May end up purchasing all three. OMGOSH! The potbellies are the cutest thing EVER!! I’ve got to have them!! Ok, the Potbellies are all must have crafting items. Maybe you can do a Potbelly hamster? Please? The potbellies are cuteness galore. Looking forward to tomorrow. Thank you for creating such amazing products. OMG the pot bellies are so cute! These potbellied are so cute! My favorite is the santa. Love those adorable Potbellies! The DT showed a lot of fantastic ideas to use them, too. The potbellies are so adorable and there are so many things you can do with them. Those potbellies are simply adorable!! I LOVE the goldfish in the potbelly of the penguin! The potbellies are super cute! Oh my! I am totally in love with the new potbellies collection!!! And all of those festive trees are so delightful too!!! Gah! Love the pot bellies, especially the reindeer. And the new trees!! Fabulous October products as always. I love the new projects and especially the potbellies! So cute! Twinkling Trees is great, especially liking Betsy’s tree with lights and Stephanie’s 3D tree. Love the possibilities of the potbellies…gift cards and treats with a special flair! The Potbellies are so cute! You can make so many unique things with them! Oh my goodness!! I love the potbellies!! So cute!! And the trees are perfect too!! Oh my I have to have those potbellies! So cute! these are simply adorable…just love all the wonderful options for those sweet pot belly critters holding different items. makes gift giving so much fun. Wonderful release! Love the potbellies! Those Potbellies and SO stinkin cute!!! Making coffee so I can check out all the projects! The Potbelly Characters are so cute! Can’t decide which one to get! Love the non traditional colours today! Gorgeous samples all round! So cute! 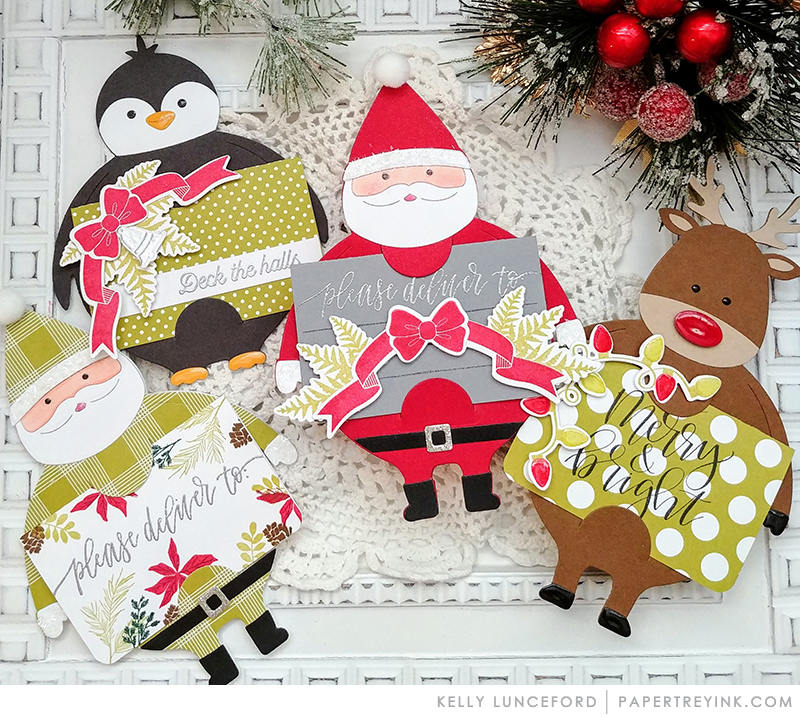 I love all those die cut Potbelly Christmas cuties! Love them all. It’s a good thing that I finally learned my limits around the holidays, otherwise, I’d have a cart filled with today’s offerings. Each potbelly and tree makes me smile. The potbellies are adorable and so versatile! Really love all of the creative inspiration! The Potbelly projects today are so cute! So many fun new products & darling inspiration! Love those little Potbellies! 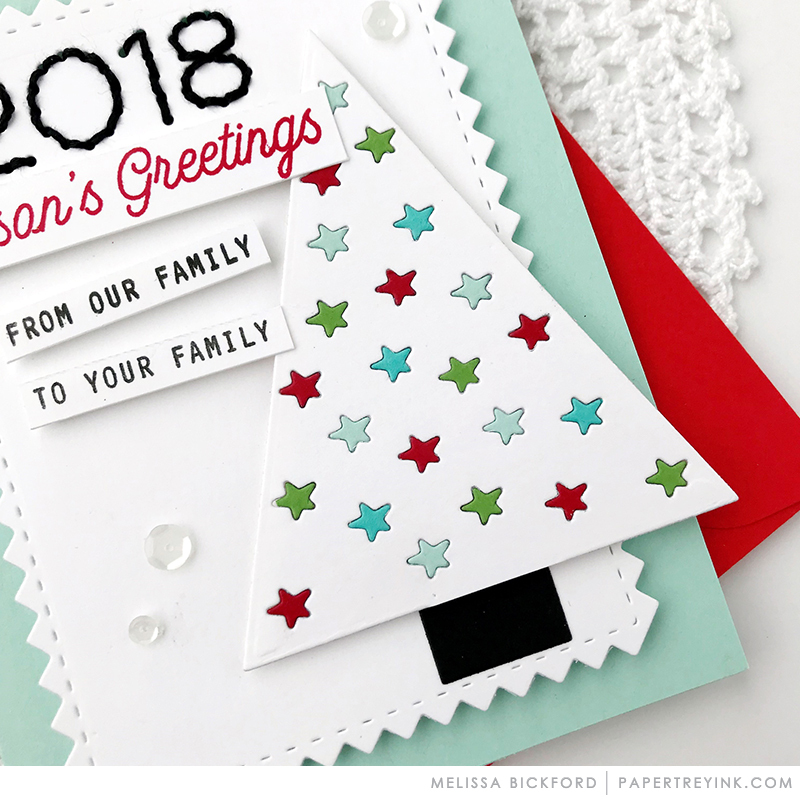 And I love how some of the sentiments can be stamped in the trees or the stars can be cut out of the trees for Twinkling Trees! I love all of these potbellies! So very cute and I need to have them. 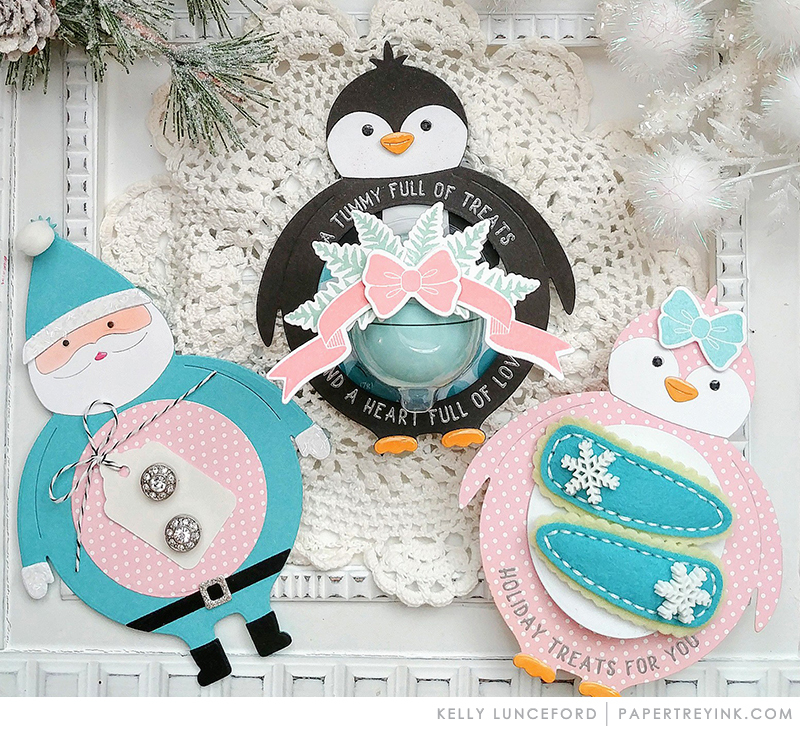 Adorable potbellies, such cute projects! Those treat holders are adorable. All the Potbellies ate adorable! The penguins are my favorite. Twinkling Trees is such a versatile set. Everyone needs this one in thier stash! Today is by far my favorite day of the release! Those Potbellies and Twinkling Trees are the best! 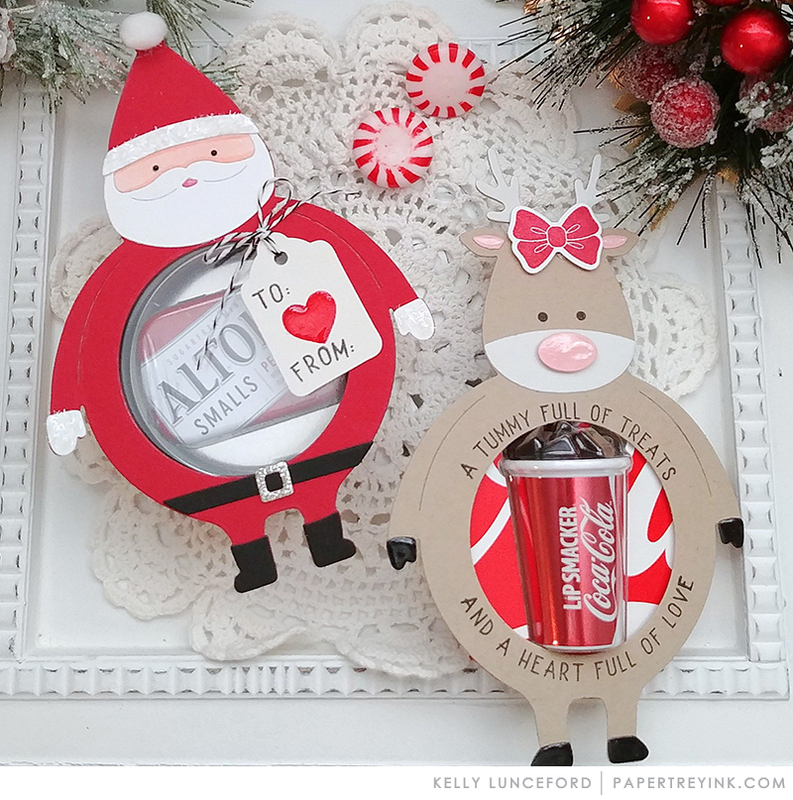 What a great idea with the Potbelly series…so cute!! This was a super month, love it all!!! Ha Ha! These potbellies dies are SO FUN and so versatile and I cannot wait to make up some fun gift goodies for my 10 grandchildren with these. All the potbelly creations are adorable!!! I love making and giving favors for all sorts of occasions! The potbellies are wonderful! Christmas tags are my favorite! 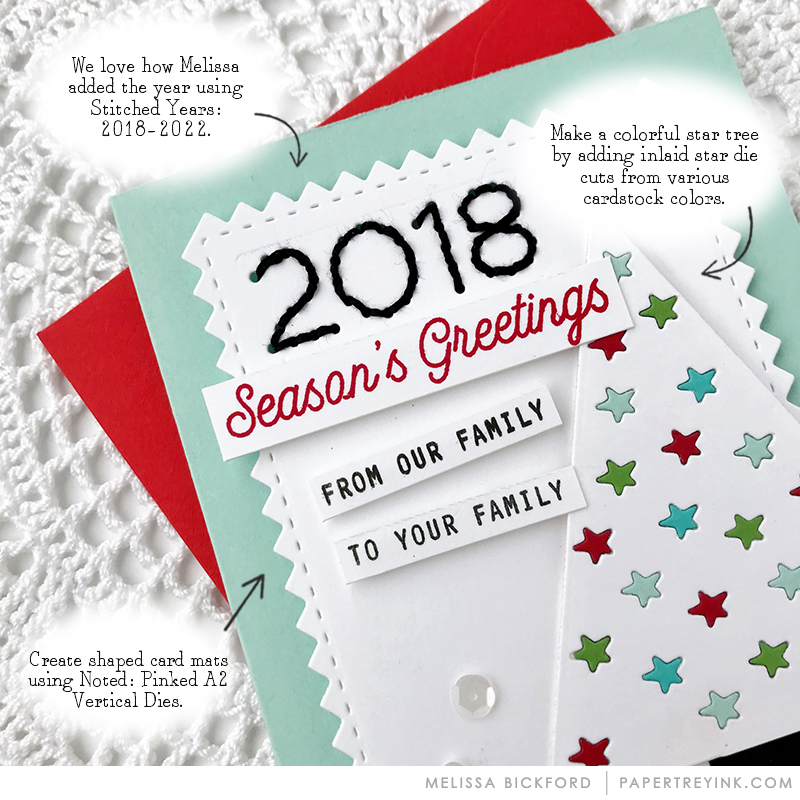 Yay – stitching years!!! I love them, who wouldn’t. Great inspiration again today. It’s nice to have some good standby stamps and supplies at the ready and your release has so many to choose from. How will I decide which potbelly to purchase? They are all so cute! The potbellies are so fun and versatile!! LOVE! The twinkling trees look so vesitile. Those potbellies are just plain fun!!!! The potbellies are cute. Not sure which to choose though… Shout out to the designers featuring black and white Christmas projects today-very elegant! Those potbellies are adorable! Pink polka dotted penguins, to funny. What a great release! Sweet trees! Love the release! Very cute ideas by the DT using those potbellies in a variety of ways! Rebecca’s trees are versatile, too. Love the Potbellies!! They are so cute and can be used several different ways. My pocketbook is feeling the heat! Love it all! What a fun release! All the potbellies are just adorable. My head is whirling with the possibilities! Ok, I need the entire October release. Great final day! I am sooo ready to start crafting for Christmas. Love the potbellies. Think they will be a hit with young and old alike. One can’t help but smile. Thanks for another great release and for inspiring us with your great projects! Potbellies and Twinkling Trees! Love these both! Adorable samples! These potbellies are so cute. They would make wonderful teacher thank yous. The potbellies are so darn cute! The Potbellies are too cute, the penguin is my favorite. Oh, my, those potbellies are sure cute! So many possibilities with those, as you gals have already demonstrated! Love the twinkling trees, too. I always enjoy all the wonderful creations you talented ladies make!! Those Potbellies are just about the cutest thing ever!!! Twinkling Trees is a classic. It can be used year after year. 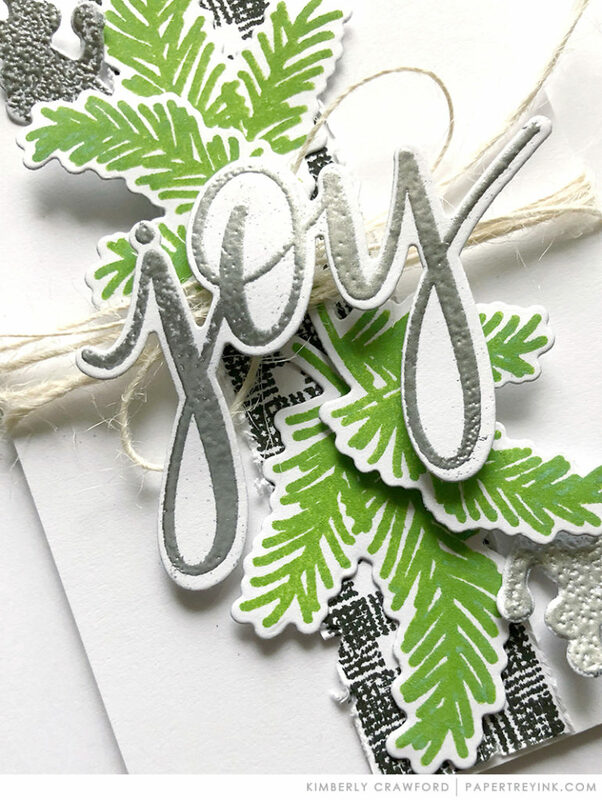 The font for the sentiments is great too. How festive these projects are! Love all the uses for the Potbellies! The twinkling trees are also very pretty. So much beautiful and very clever inspiration!!! The kids are going to love those adorable treat holders and I love that cute tree with the stars. GREAT release! Oh, my goodness! The Pot Bellies are beyond cute! Great release and fantastic inspiration! Packaged treats for kids is my favorite crafting pleasure. Thanks for these great tools to continue the fun! Super cute potbellies images! Especially love the penguin. So sweet! I really like how it was used with the chap stick and different product packaging. 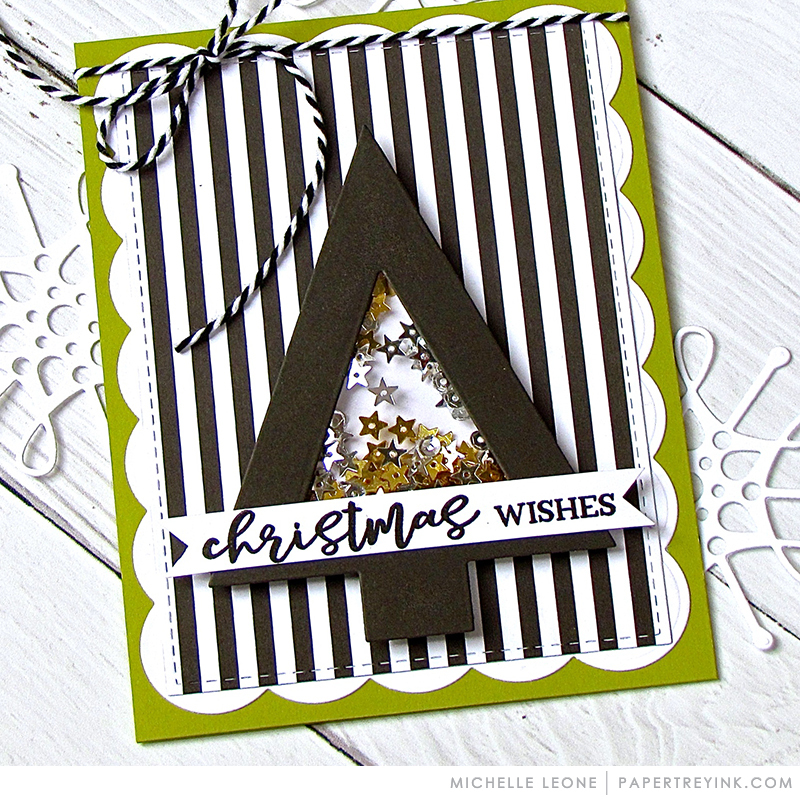 They look good as tags or card focal points! Betsy is just so creative! I love the potbellies! Oh my goodness, the potbellies are so cute and unique! I have never seen anything like it in the crafting industry!! Genius! What a FUN release ! Thanks to everyone from the team being so creative with all these new stuff ! Every Christmas since my grandsons were born I make a Christmas Ornament for that year….looks like the potbellies are the perfect choice for 2018! All products in this release are incredible, thank you. Those potbellies are just too CUTE! Cute Potbellies! – penguin, reindeer, and Santa, too. And I like the Twinkling Trees with their graphic modern flair. Lots of cute ideas here! We use a treat holder as a place card at family gatherings. The Potbellies will be a big hit on Christmas day. Love Rebecca’s twinkling trees. I love the potbellies. Hope you will design some non-seasonal ones too. My vote goes to the PotBellies! Great inspiration on the examples given, can hardly wait for their arrival! Love them all , but the Potbellies are adorable . Making these will bring many smiles to family and friends. Love those Potbellies! How unique and so many ways to use them! I like the Twinkling Trees, off to check out the samples . . .
Love those potbellies!!!! I hope they don;t sell out fast!!! OMG, I am in love with the Potbellies, those are fabulous!!! 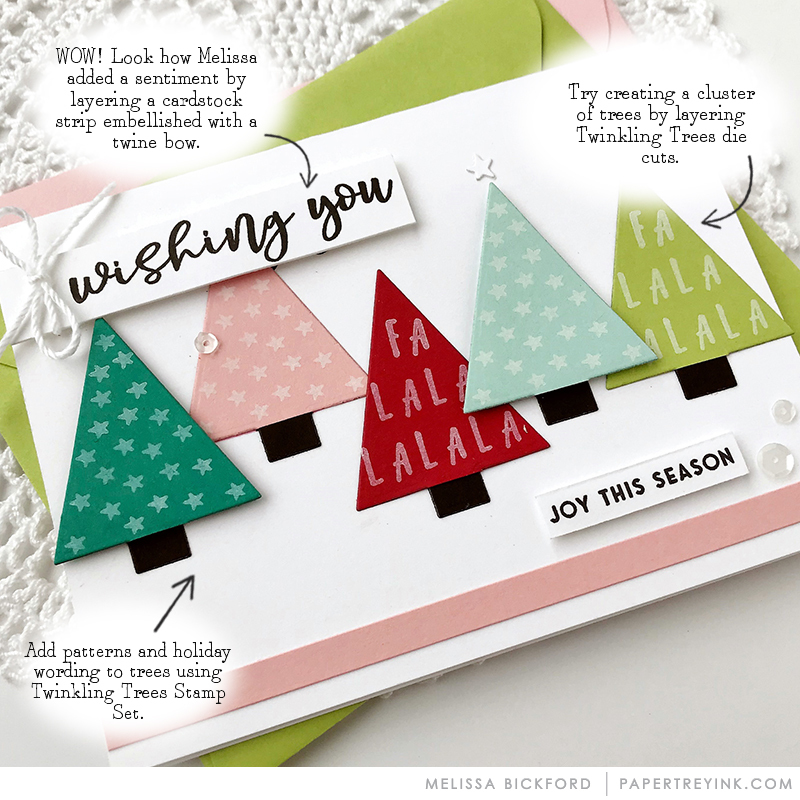 The Potbellies are such a cute idea and the Twinkling Trees set would be great for simple but stunning Christmas cards. Fun and clever product with lots of different uses! Love seeing all the different ways today’s release items are used. 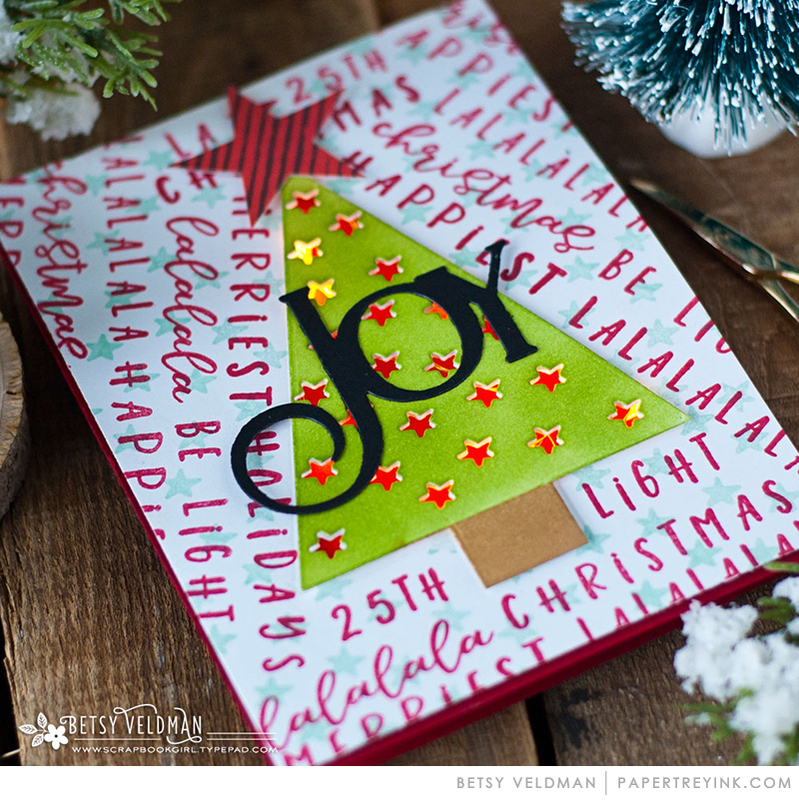 Twinkling Trees are my favorite on today’s post… So excited to buy tomorrow! It’s hard to choose a favorite in the October release. The potbellies are soooooooo cute. They are a must! Oh what fun it is…Visiting all the DT’s blogs. Such variety and colors to enjoy. A great release of the Twinkling Trees and Potbellies, just in time for the snow falling here today. My list is long. Thanks to all. The Pot Bellies are all so cute. I love the projects using them. I love the potbellies–so cute. What a great release this has been! Cute potbellies! Fun post and projects today. I am not going to be able to fall asleep tonight because I’ll be imagining all the fun ways that Potbellies can be used. So fun! Thanks! I hope you have a lot of Potbellies in stock for tomorrow! I was all set to order Santa until I saw Heather’s Reindeer potbellies and changed my mind! Everything today is so very cute and festive! I hope there’s plenty in stock tomorrow night!! Wow! So fun! Can’t wait to get my hands on these and start crafting!!! These potbelly projects are a lot of fun! Lots of great possibilities with them! The Potbellies are darling!!! Now to decide what I will get…ugh. DT has been so inspiring…great job! The potbellies are such a cute idea! Betsy should keep going and design some for birthdays as well! Overall some of the best samples I have seen in a while. Potbellies are adorable. Can’t wait for release day. The potbellies are too cute! 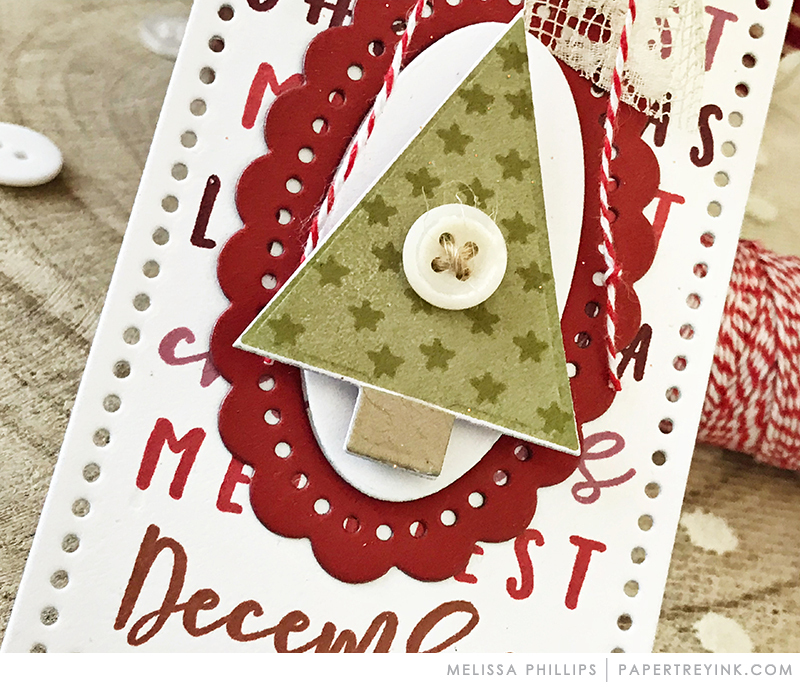 Twinkling Trees is such a great set — I love the graphic possibilities, and Rebecca always designs so many versatile, mix-and-match sentiments! These little potbellies are too cute! The Twinkling Trees are adorable! The potbelly dies are just the cutest!! The potbelly penguin is my favorite! Sooo cute. These are absolutely sweet and adorable! That potbelly penguin is just the cutest! That penguin would make a super cute duck at Easter too. Love the Twinkling Trees too!! These Potbellies are super cute! Love them all. These potbellies are so original and adorable! I just love them, what a unique idea! Oh! Those potbellies are coming home with me for sure! So cute! How wonderful that the potbellies hold a gift card. It was great to see so may ideas for the pot bellies without the bubbles making them so versatile. Love that penguin! Going to be lots of hard decisions this month! Cute potbellies, but can’t believe $18 a piece for mostly circle die couldn’t they have been made with different face / detail only for additional designs after first purchase like Betsy’s little dolls were for dress up for different seasons? Adorable just disappointed in prices for each one. Well adorable is the first word that jumped to my mind when I saw the Potbellied collection. I am hard pressed to pick a favourite! The pot-bellied penguin is soooo adorable! The possibilities are endless! The idea of pot bellies is so fun! Sweet trees as well! Another great release with so much inspiration! Having a hard time paring down the list. Wow so many gorgeous creations!! ALL the Potbellies!!!! OMGeeee!!! So stinkin’ cute and the perfect thing for me to make all my daughter’s coworkers! She is a HS English teacher and when she started teaching 3 years ago, I “volun-told” her I was going to be her “room Mom” (do they have those in HS or only elementary?? LOL) Anyway, I try to make or bake some kind of treat at least once a month for them. Seriously, teachers need some extra love – it’s crazy all the things they do for our children. WOW! How fun! 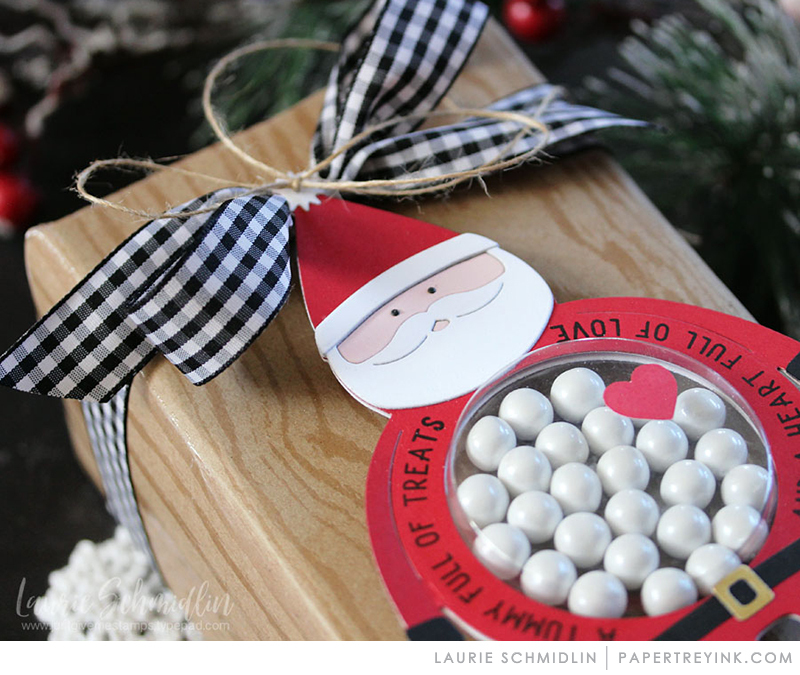 I love the treat bellies…so creative for so many things to put inside. Just adorable creativity. Love the trees. Love it all. Just a wonderful release. Thank you for all the inspiration! Happy Holidays!!! Can’t wait I will be ordering! Wow…the Potbellies Collections is awesome…can’t wait to create some little gifts with these. Those potbellies are so much fun! Oh these are all adorable! Papertrey ink has it with the pot bellys. Oh my gosh, they are so darling. And I love it when I first see something and the ideas just start popping into my head to use it! Wow! Can’t wait to get them. Oh my cuteness – I can’t wait to get my hands on the potbelly critters!!! Those are going to be perfect to hand out to everyone I know. What a great release, excited for tomorrow when we can finally buy all these fabulous new products. Love all the ways you can use the Potbelly dies! Love the Potbllies as gift card holders! So cute. The Pot Bellies are so cute! I think the Penguin is my favorite. How absolutely adorable the footballers are! The tree cards are sweet, also! Such sweet and festive design projects today!! I love the ingenuity of those potbellies!! 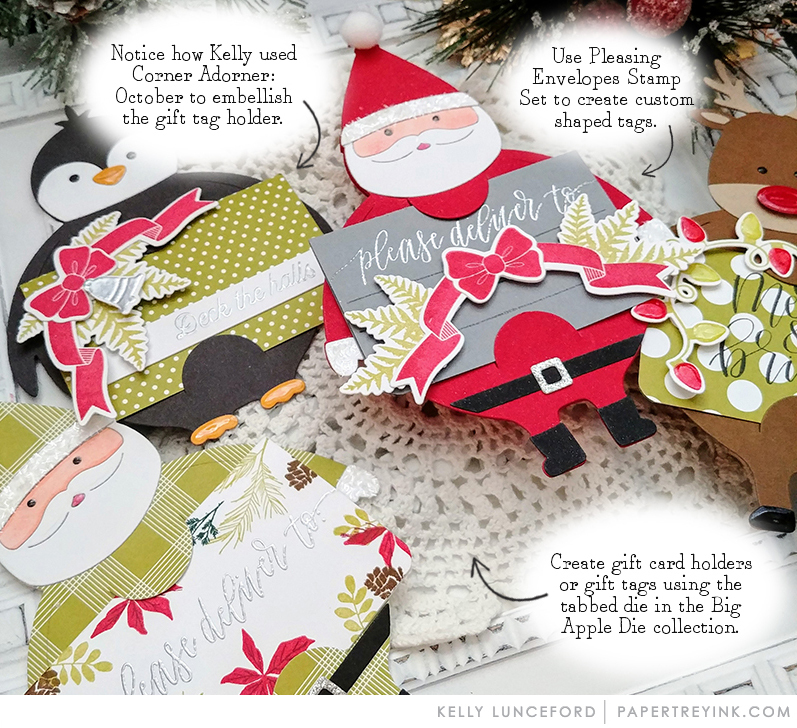 Twinkling trees is so adorable, and I LOVE the way Kelly turned the Pot Bellies into gift card holders, genius!! Que bonitos detalles para los más pequeños, y divertidos para los no tan jovenes. The potbellies are THE cutest!!!! Love the Santa! I believe this may be the first time I can’t wait for Monday to come! Lol😃 Shopping! I love the twinkling trees – very cute! Oh my, those pot bellies are adorable!! These are all so darling! I cant wait to get them so my girls and I can play!!! The Potbellies are so darling! 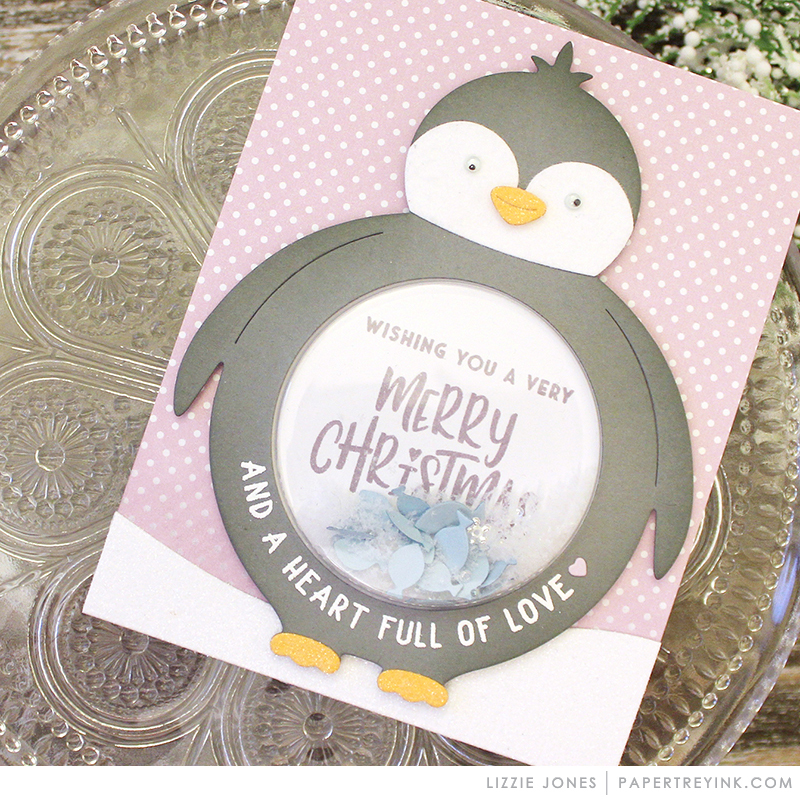 Holiday festivities perfection – cuteness & versitile!!! Oh, the pot bellies are soooooo adorable!!!! Thanks to the DT for all the fabulous inspiration! The potbellies are absolutely the cutest!! So many possibilities that I love! The pot bellies are the bomb diggity! Love them and can’t wait to get them! Love, love, love the potbellies!! So many different options…they’re soooo cute! These are such a fun and super cute idea! Love all of the samples! Oh my! These potbellies literally take the cake. I haven’t seen anything so cute since your last release. Potbellies! Yes! So adorable and usable! I think those Potbellies are a winner! More cute and fun designs. I’m going to have to quit my job to have enough time to make everything! the ways to use them! Potbellies are adorable!!! Such cute samples you’ve given us. Wonderful countdown girls. The Potbellies are sooo cute and the team’s projects showed a multitude of items to put in the bellies that I never would have thought of! These pot-bellied treat holders are DARLING! I want a pig and a kitty, too, please!! The Potbellies are about the cutest thing I have ever seen. I agree that we need all kinds of potbellies-cat, fish, pig-the list could go on and on! How sweet is that penguin???? Love it! Oh no, I can’t decide which potbelly I am going to get. Wish I could afford all three! So very cute are those Pot Bellies! 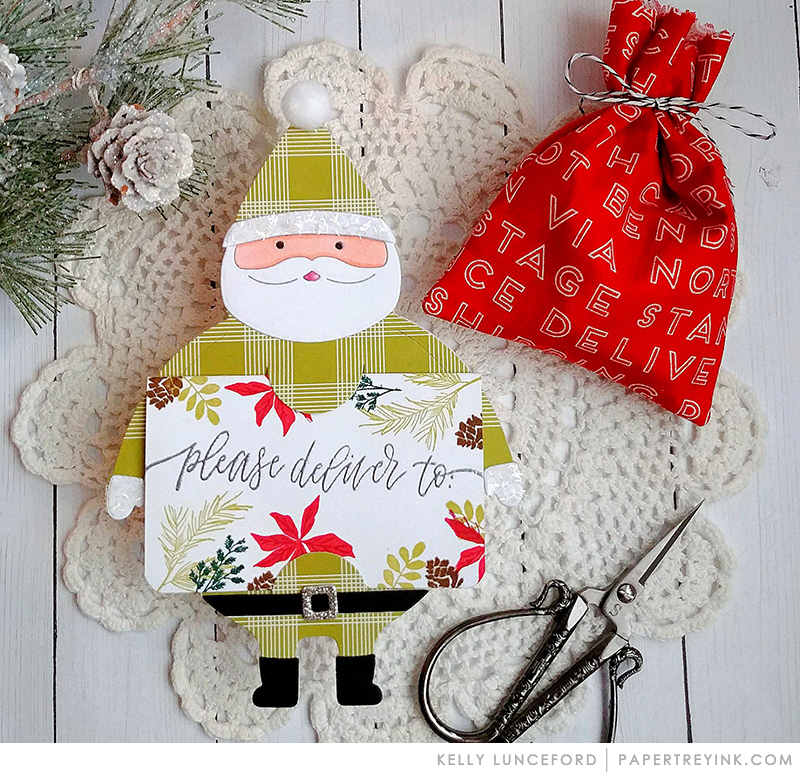 I just loved how Kelly used Simply Chartreause for that santa!!! Twinkling Trees is adorable! Great new release!!! Those potbellies are so adorable! More cute ideas for my grandson! The Potbellies are a cute idea! Oh my goodness those potbellies are super duper adorable and so much fun too! The team did an amazing job on all their creations! Love them! The Potbellies are so adorable! Kelly lured us in, didn’t she?? What an outstanding job she did on her Potbellies projects!! I think we can all EASILY picture them on our tables, on our trees, on our gifts…..
Great great talent, all of you on the team!! Everyone’s getting potbellies this year! Yes! Yes! Yes! Those rainbow trees. I love everything rainbow. Those make me so very happy. Yes! I will have them! The treat “boxes” are super adorable too. I love penguins, so I see more on my “must have” list that I am going to need to have. Those potbellies are absolutely adorable ! So many ways to use them. Love them as gift card holders. Another amazing release from PTI. You are just amazing Betsy! The potbellies are going to be a huge hit! Love the new Potbellies collection! They are just too adorable for words! Potbellies clearly define cuteness and fun! LOVE LOVE LOVE these new products! 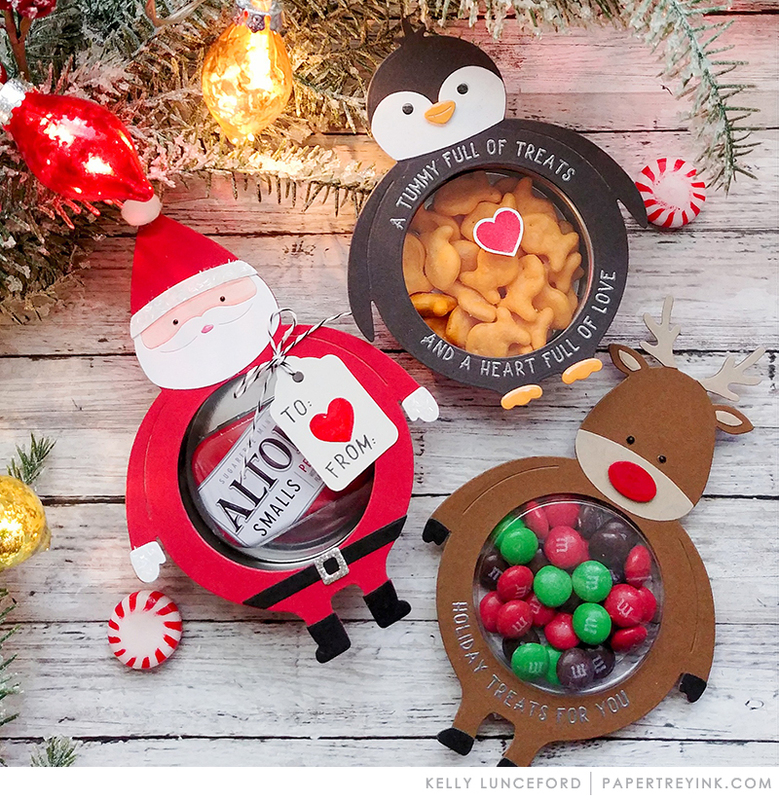 I just love these treat containers with the fun critters and Santa. There’s so many fun possibilities. Fantastic! Love both the trees and the potbellies. The potbellies are the cutest! There are so many possibilities of things you can make with them. The Potbellies are just about the cutest things I’ve seen ages! I can’t wait to make holiday treats with them! Love all the ways you can use the Potbellies. So cute. And everybody did a great job with the trees, too. Fancy or plain, they look fabulous. 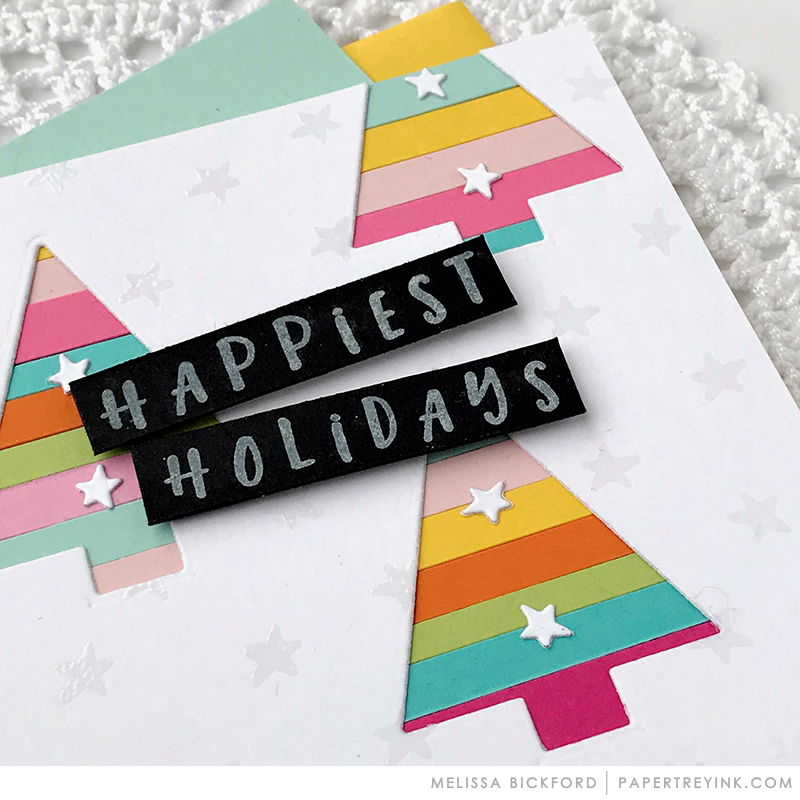 Love your creative ideas for making gift cards look special. Potbellies are so cute. Many possibilities. SQUEAL!! SUPER FUN!! LOVE the NEW Products and the AMAZING Inspiration!! 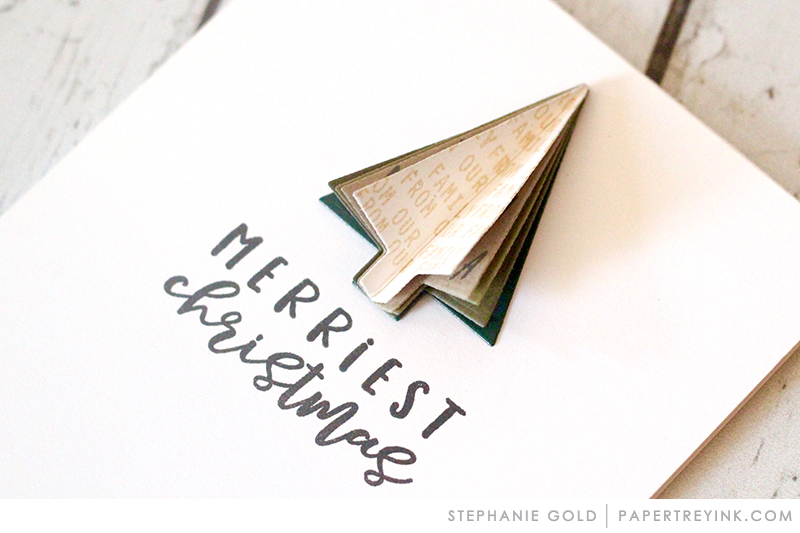 What a fun addition to Christmas crafting and gift giving! The Potbellies are adorable! My grandkids will love getting them in the stockings! Love the treat boxes, they are all so cute! I love the potbellies! I think these would be so adorable as ornaments or advent presents. I am such a sucker for a good tree!! And I love the potbelly reindeers! The Potbellies are so cute, and the Twinkling Trees are lovely and versatile! OMG with those pot bellies! So cute! I think the potbellies are super cute. The potbellies are just what I need for the holidays! So adorable and fun! The “Potbellies” are adorable!!! What a cute way to give a little gift! I could definitely see more designs coming in the near future! Super idea!!! Potbellies are so cute. Kids would adore these creations. WOW! They are all so festiveand amazing! The potbellies are perfect for so many purposes. 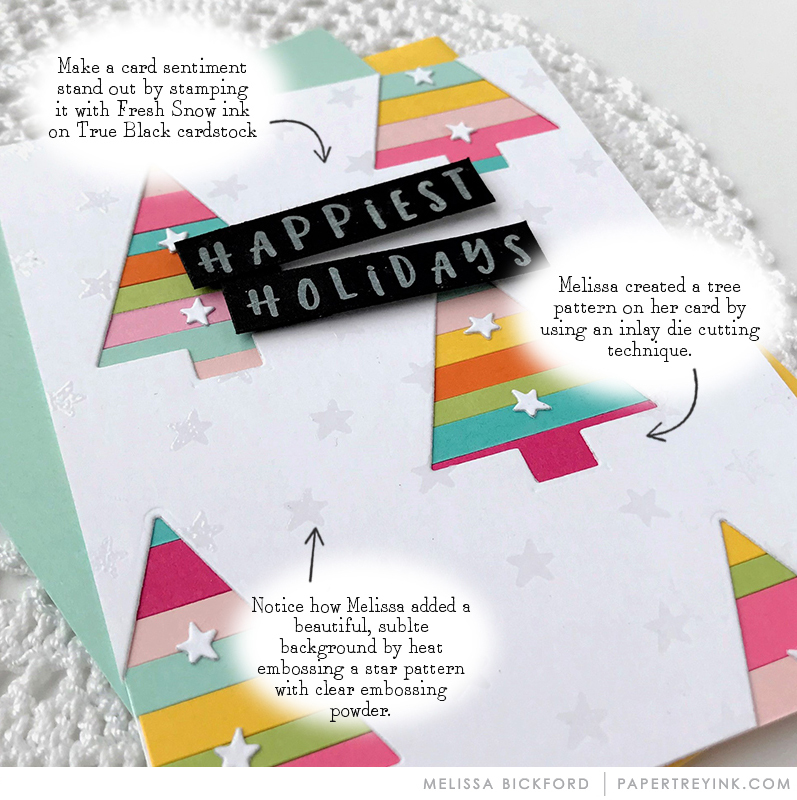 I also love the trees as a quick and beautiful way to create a card or gift tag. 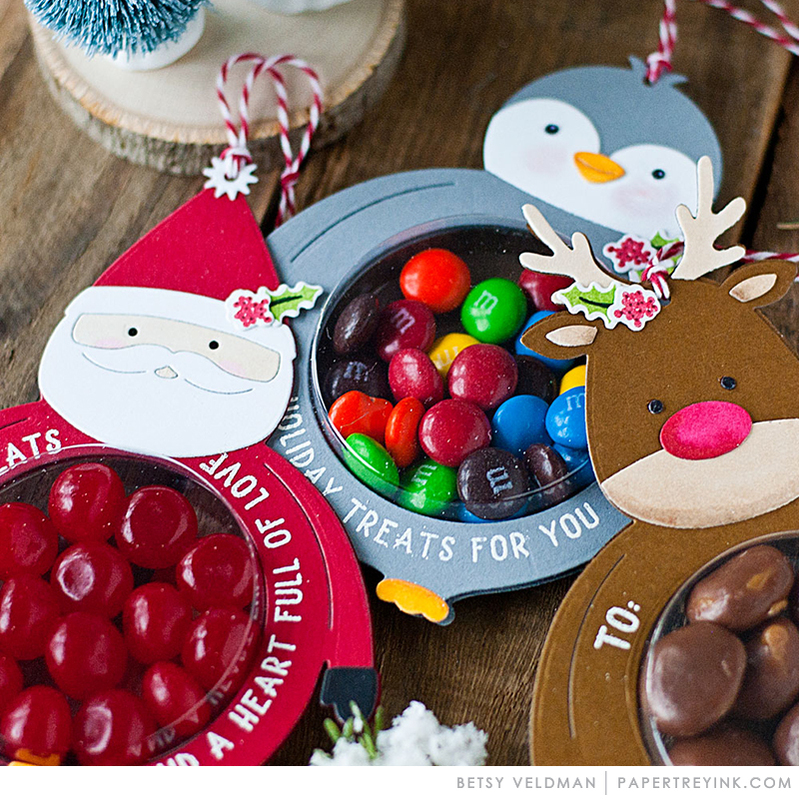 I just love all those cool gift tags/potbellies and how you can make them into treat packages. I can’t decide which one I want! They are all so cute! oh MAN! Those Pot Belly dies are absolutely adorable! Thanks for all the inspiration! What cute pot bellies! They are quite versatile. I love what y’all have done with them. I absolutely need a bigger budget.